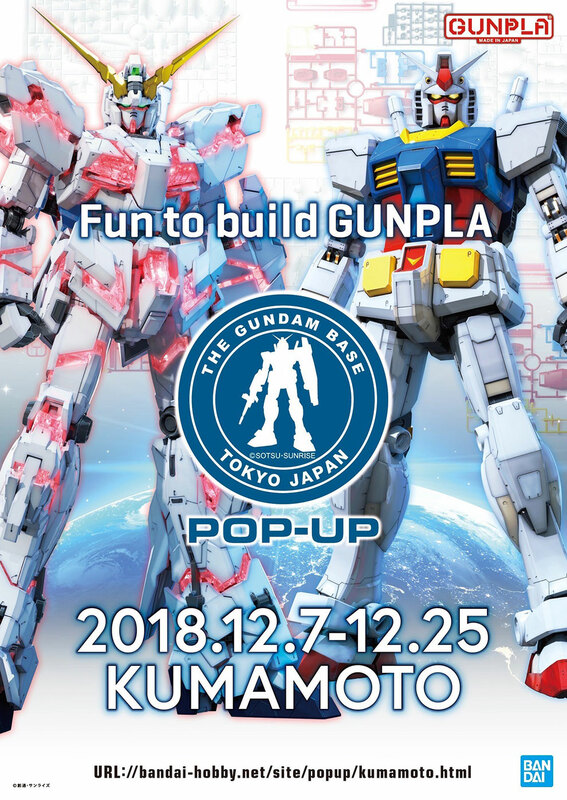 The Gundam Base Tokyo Pop-Up event in Kumamoto will start on December 7 to December 25, 2018. The event will be having special exhibits showcasing GunPla related products and news. PHOTO SPOT: 1/10 scale Unicorn Gundam's statue will be on display at the event for the first time! 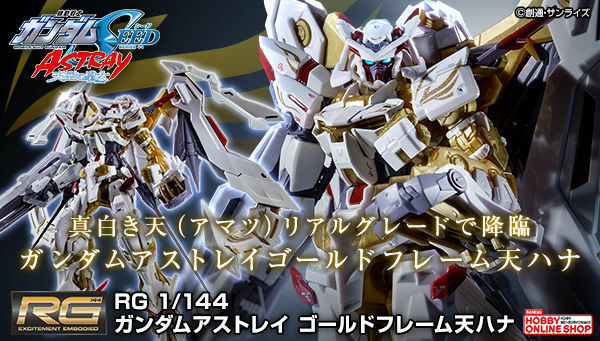 GUNDAM BASE LIMITED ITEM: Exhibited are the limited items that are sold in the Gundam Base Tokyo. 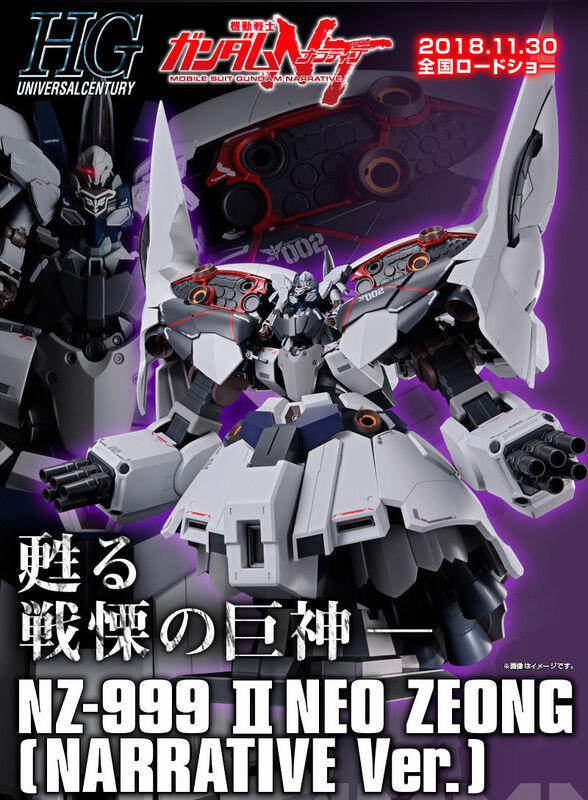 NEXT PHASE GUNPLA: New product announcements will be on display at the event earlier than anywhere else! 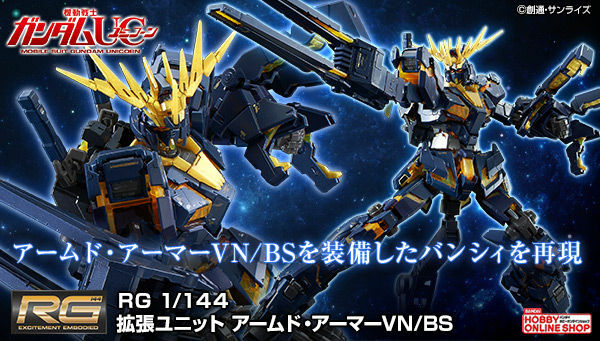 Look forward to new GunPla lineup for the year 2019. 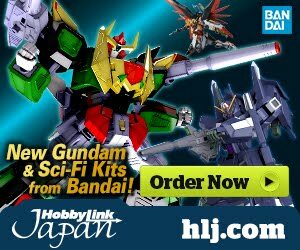 PREMIUM BANDAI: Latest Premium Bandai entries will be on display! HOW WAS IT MADE? Exhibits of step by step explanation on how GunPla is produced. 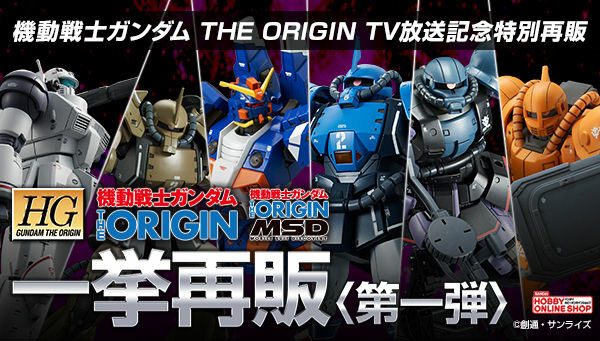 GUNDAM MODEL SUPPORTERS: Popular personalities in Japan will have their "color version" GunPla exhibited.